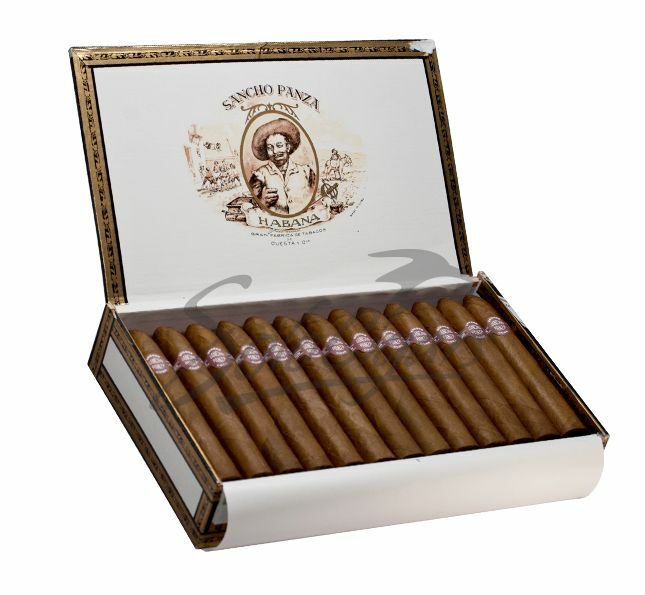 Sancho Panza Belicosos cigars come in an elegant torpedo shape, with a medium to large length and a gauge size of 52. The exterior displays a rich dark brown and a very soft, velvety touch. The strength is medium and the first third has black pepper and woody flavor. The second third has rich notes of coffee and earthy aroma while the last third comes with a strong and creamy earth flavor that manages to make this cigar a pure delight.